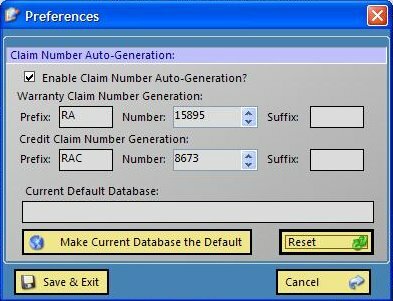 Another feature of the Preferences, is that you can set up the database that you are working on, to the default database. This means is that the next time Ranger starts up, It will automatically load the database. Firstly, you can search for a keyword. in this case "faulty" Ranger will list all claims that contain that word. 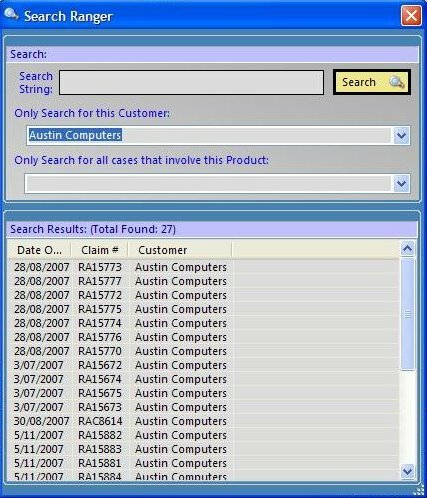 You can also search by Customer, and see what claims they have applied for. Great to see who is claiming the most items. 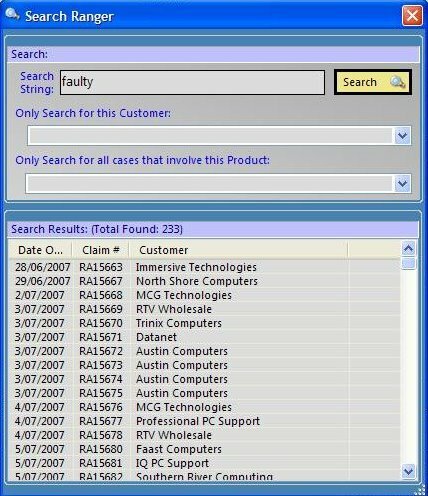 Or you can search by Product, and see who has had a claim on it. 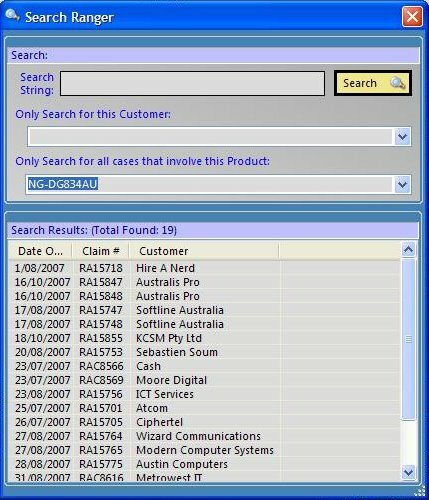 Above, you can see that NG-DG834AU has been in claimed 18 times (Note: this does not mean only 18 units have been used, as the search does not take quantity into consideration! ).